Robert Zimmerman The Original Google? 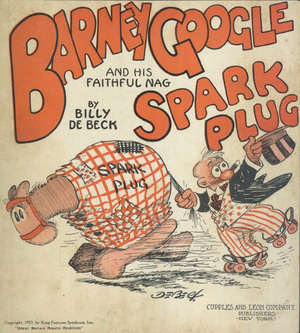 It's still seems a bit unclear whether Billy DeBeck created the word "Google" with his remarkable strip Barney Google, but one thing's for certain, he sure did make the word popular. Without a doubt, DeBeck did indeed introduce a few other popular phrases along the way and influenced many that doodled along afterwards. DeBeck in the Drawgerpedia for fellow Drawgers to edit and update as knowledge allows.